I know I sure do. And having fast easy dessert recipes on hand is one way that I can be sure to offer healthier-for-you solutions when making dessert choices. Mini pies for the win. Solutions like adding in berries and other fresh produce into a dessert. Or some Oikos® Key Lime Greek yogurt–which you know is super healthy. Lets face it–anytime you make a dessert and add in fruit or berries, you can be sure that you are including nutrients in your diet that really benefit you. Kind of like when I cook with kale by adding extra into my favorite soup recipe to get an extra dose of goodness. One of my favorite ways to make a fun dessert is to make it a mini dessert. Simple mini dessert recipes are perfect for a party, after dinner dessert, or even for an after school snack. They are quick to make, which is a big key to success. Another huge plus is right in the name of these fun desserts: mini. Let’s face it. If you love desserts, its because you savor the flavor of that sweet goodness. It’s just SO hard to resist. And mini desserts are always a winner. Like our Sinfully Delicious Parfaits. Or a little Apple Caramel Cheesecake Cup. Well, the great thing about mini desserts is that the portion control problem goes away–as long as you don’t take seconds. You don’t have to feel bad at all about diving into to one of these wonderful Hint of Mint Strawberry Yogurt Mini Pies. We love making simple dessert recipes lightened up for summer. 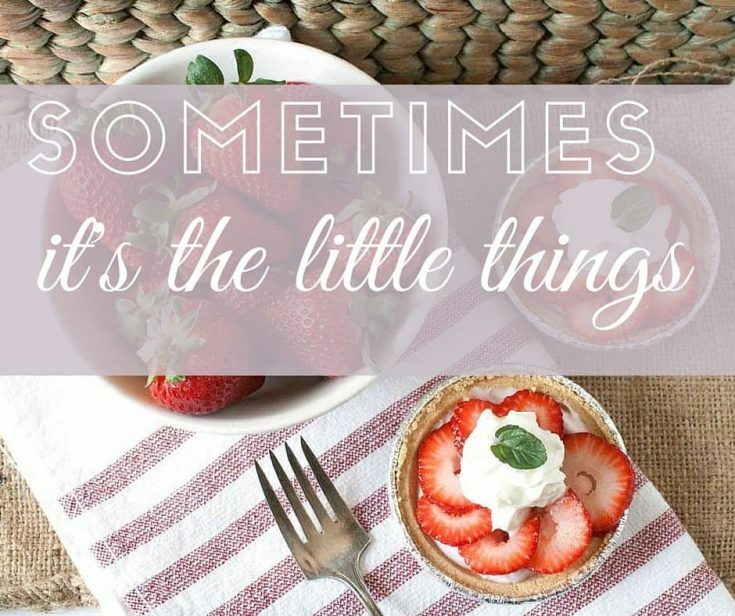 It’s a season of refreshing flavors and in-season produce, which makes it the perfect time to add some strawberries and create mini pie perfection. Just a few ingredients are needed to create this and many other simple dessert recipes. This recipe is so easy to replicate–you’ll want to try this one at home. Load up on Dannon® Light & Fit® Strawberry Cheesecake Greek Yogurt, some Reddi-wip®, mini pie crusts and strawberries–all available at Walmart, and you’re all set. Don’t forget you can earn a rebate at Ibotta. Bite by bite, this mini pie creation is one you’ll want to capture in photos…for your Facebook feed or Instagram–or a quick Snap to share with friends. Because summer should be drool-worthy. Divide yogurt between 3 pie crusts. Slice strawberries and layer on top of yogurt. Top with Reddi-wip® and garnish with mint.